Study a relevant course at college or university. Find out where you can study film courses in Kent here. Work your way up starting with work experience at production companies, corporate filmmakers and/or on location. What kind of jobs are there in the film and TV industry? There are many job roles within TV and film within all stages of the process – pre-production, production and post-production. These roles are diverse and range from scriptwriter, researcher, makeup artist, designer, camera operator, director, producer, editor, composer, distributor to roles within a publicity team. The Creative Skillset website details the various roles in the film industry here and within the TV industry here. The field is very competitive – finding work experience at a production company, corporate film business or on set as a runner is key to making your CV stand out. Usually you will need to be at least 18 years old for this and being able to drive helps. 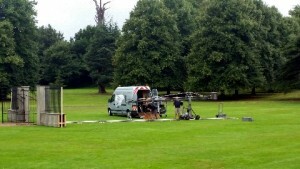 Trainee and work experience placements will give you an insight into what happens both in front and behind the camera. It will also be your chance to meet people, ask questions, make important networking contacts and learn the basics. For work experience at production companies you should write to as many production companies as you can, either in a suitable area or around a chosen specialisation. The Knowledge Online, KFTV and Kays are good sources for finding contact details for those. The first step would be to attach your CV and write a cover letter, detailing why you want to work at that production company, and illustrate that you understand the kind of work they do. Follow initially follow us on Twitter and if you have experience either through study or practical, you could register with the Kent Film Office who notifies Kent trainees of any opportunities in the county. Alternatively, if you would like an office based placement, the Kent Film Office provides work experience opportunities. Find out more here. You could also make your own short films and enter them into film festivals, which will help you stand out! Be positive and as helpful as you can, it will make a good impression. Be realistic – if you are expecting a glamorous job where you get to meet A-list stars, you may be disappointed. The reality is long days with early starts, late finishes, and few breaks in the middle. Build your networks – attend industry events and connect with people online you have worked with or would like to work with. Always research the company you are applying to for work experience, and ensure you have a well written CV and a tailored cover letter for the role you want. Use social media to find jobs! The AimHigher booklet was produced in 2009, with funding from the University for the Creative Arts and in collaboration with Kent Film Office and the Kent Arts Development Unit. It gives information about career paths into the film and broadcast industries available in Kent and Medway. This booklet includes case studies on what jobs are on offer within film, television and radio and how to go about getting them. It is aimed at young people starting out on their career path and designed to give a broad overview of the sector and is still relevant today. Please note, the college and university course information is now out of date – please refer to our film courses in Kent webpage here. 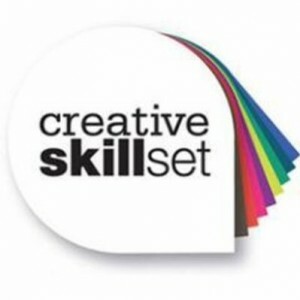 Creative Skillset works with the creative industries to invest in and develop skills and talent and they award the Creative Skillset Tick to courses that can prove they connect with industry and teach professional skills that make sure you graduate work-ready. Once you have completed a Creative Skillset Ticked course, their Trainee Finder matches individuals to industry placements in TV, film, animation, games and VFX. Check out the courses here. The BFI Film Academy runs yearly and is open to young people in the UK from any background. The programme provides talented 16-19-year-olds to study practical filmmaking elements from screenwriting, production and post-production skills, meet industry professionals and attend workshops and master classes by leading industry experts. The Production Guild is one of the UK’s top membership organisation for film and TV production management professionals and aim to support and deliver training to those working across a variety of production aspects. Their YouTube channel offers a range of tips and advice about getting started in the industry.